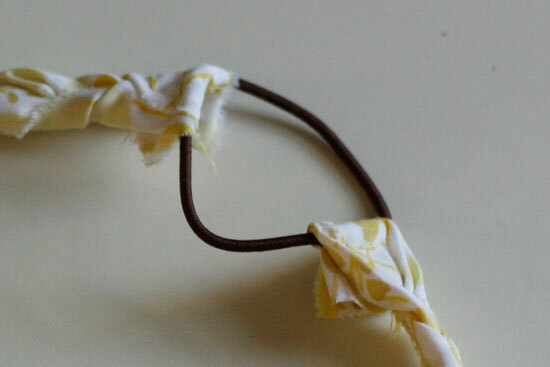 I wanted to share a quick and easy tutorial for cute headband to accessorize your own summer hair. 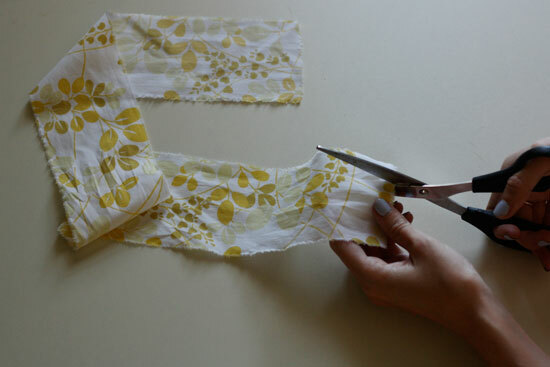 Start by cutting a strip of fabric about 3-4 inches wide and 18-20 inches long. 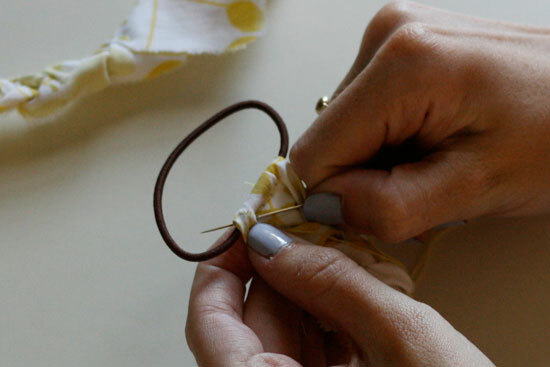 To get those cool, frayed edges, cut the edge of your fabric and tear it apart with your hands. Woven cotton fabrics will tear straight along the grain. Separate your strip into three strands and stop tearing about 3 inches from the top so that the strips remain connected. Remove any threads that were created by tearing the fabric. 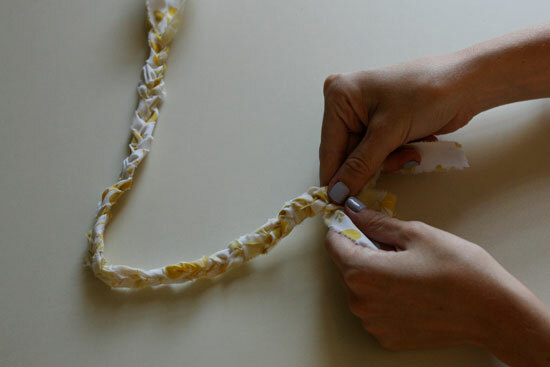 Braid the length of the fabric – I prefer a slightly looser braid so that you can still see the pattern on the fabric. When you reach the end, sew a few stitches to secure your fabric strips together. 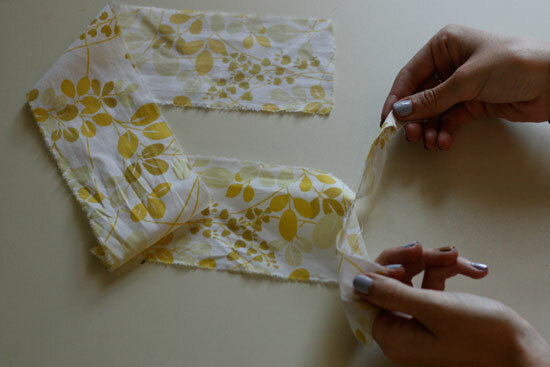 No expert seamstress skills needed, just tack together the fabric strips so they don’t unravel. Next, we’re going to attach the hair elastic to give the headband stretchiness. Make sure to use a springy, new hair tie, not an old one that’s been lying around and has lost all of its oomph. Loop one end of your braid through the elastic and sew a line of stitches to create a tube for the elastic to slide through. Try not to pierce the elastic with the needle, just sew around it. Repeat on the other side to close your circle. 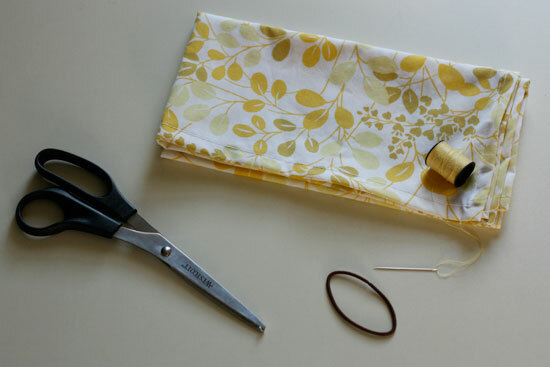 Trim the ends of your fabric, but don’t trim too short because the repeated stretching of the headband could pull the stitches out through the unfinished ends. 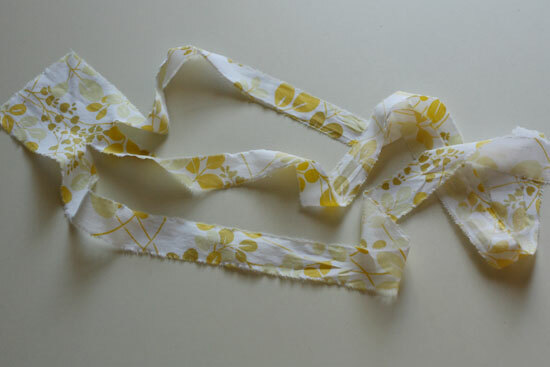 These hippie headbands make cute and quick gifts and can be made a million different ways! Swap out the fabric for braided leather or ribbons, or use a piece of vintage lace. Have fun accessorizing your beautiful summer hair! Another wonderful post from HerNewLeaf.com, which is no longer active. Kira was the owner and you can see more about her on this archived page.